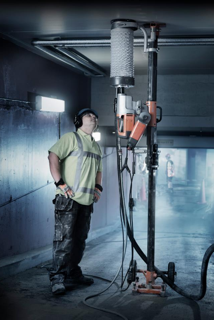 Inverted drilling refers to core drilling upside down through the underside of a concrete structure. Commonly used for steel fixing, plumbing and electrical projects. Specialised equipment is used for this type of application. We can work with any and all concrete materials, from swimming pools to tennis courts. We also utilise wire cutting and sawing which we have found is one of the best ways to remove bulky concrete assemblies. Some of the bigger projects we have worked on include removing concrete bridges, piers thick walls and many complex commercial building structures with steel and heavily reinforced concrete. 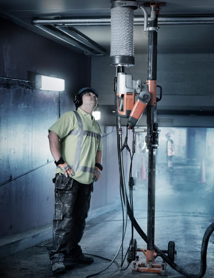 Using the inverted drilling technique allows us to get deep into the concrete for easy demolition, cutting and removal. 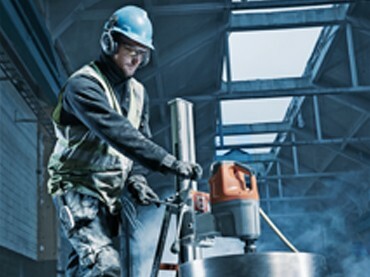 With these skills, we are not limited to the depths we can reach within the concrete, and the wire cutting techniques deliver the kind of quality results our customers demand. Big Cut Sawing & Drilling provides wire cutting and concrete services for all of Melbourne. Big Cut Sawing & Drilling has been providing quality concrete services to Australians in Melbourne since 2001. We are a local Melbourne based company that has the experience necessary to complete any concrete project. When we work with commercial, residential industrial and civil industries, we always making precision craftsmanship our focus. Our offer included craftsmen with the knowledge and training on the powerful equipment needed to finish your concrete work. We offer a dedicated staff with the skills and experience that make us a reliable resource in the concrete services industry. 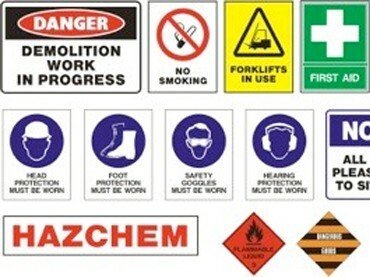 Our focus is to keep each of our job sites safe and provide a high level of personal customer service. Big Cut Sawing & Drilling makes sure you get treated well, and your satisfaction is guaranteed. At Big Cut Sawing & Drilling offers a unique service. We are dedicated to our customer and ‘strive to give 200% on every job we commit to’.